Chronic obstructive pulmonary disease (COPD) is not curable, but you can manage symptoms with one of the many COPD treatments available. Following COPD treatment guidelines will also extend life expectancy and improve your quality of life. COPD treatment often starts with drugs called bronchodilators, which relax the muscles around the airways to open them up and make it easier to breathe. Bronchodilators come in two forms. Short-acting bronchodilators start to work within minutes, and keep opening the airways for four to six hours. You take them to get immediate relief when you?re short of breath. If your disease is mild, a short-acting bronchodilator may be the only COPD treatment you need. More severe symptoms may require long-acting bronchodilators. These medicines take longer to start working, but their effects last for up to 24 hours. You will typically take a long-acting bronchodilator every day. If bronchodilators alone aren?t enough, or you often experience symptom flare-ups, your doctor may prescribe a steroid medicine along with your bronchodilator. You will breathe in your COPD medicines through an inhaler, or use a nebulizer, which turns the medicine into a fine mist that you inhale through a facemask or mouthpiece. Oxygen therapy and pulmonary rehabilitation are two other important components to COPD treatment. 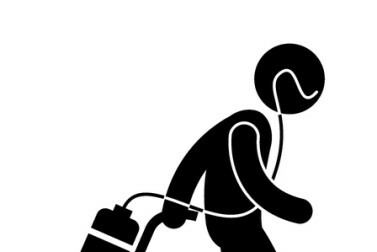 You breathe in oxygen from a canister through a nasal cannula or a mask while you do activities or housework. Pulmonary rehabilitation is a program that incorporates nutrition, exercise, education, and psychological counseling to help you live better and stay healthier with COPD. The rehabilitation team can include doctors, nurses, physical therapists, psychologists, counselors, dietitians, and other specialists. As a last resort, if these COPD treatments have not worked, surgery may be an option. Surgery can remove the spaces where air is trapped inside the lungs, or take out diseased sections of the lungs. 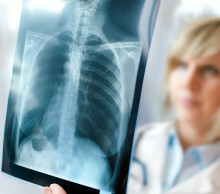 Once the disease has become very severe, a lung transplant may be necessary. Even though COPD cannot be cured, it can be treated. Treatment is aimed at reducing symptoms, preventing the disease from getting worse, improving the ability to exercise, preventing and treating complications, and preventing and treating exacerbations. If you’re battling chronic obstructive pulmonary disease and you’re still a smoker, you’ve likely already heard this good advice: Give up cigarettes and you can improve life expectancy with COPD. Emphysema is one contributing factor to COPD signs and symptoms, but it also has its own distinct place in the lung diseases list. What is emphysema? In order to properly answer the question, it helps to understand how our lungs work. Chronic obstructive pulmonary disease (COPD) is a serious respiratory condition that currently has no cure. But COPD treatment can help manage COPD symptoms. Along with medications, which are usually inhaled, dealing with COPD also requires behaviors that support lung health.